Expanding upon the quote above from a wise woman, cracks in our souls and hearts allow light in. Without being broken first, we would have no idea how to feel joy, because we would have never experienced anything else. In life, it takes experiencing duality to really appreciate the good things on this Earth and within our hearts. You may have gotten to a point in life where you no longer feel content with yourself, your surroundings, or your own beliefs. You feel something burning deep within your soul, but can’t quite put your finger on it. You have a deep longing to understand life on a bigger scale, and move beyond just trying to survive. In other words, you want meaning, feeling, and purpose instead of all the materialism, greed, violence, and other forms of dis-ease we currently experience. 1. You feel out of touch with this current reality. None of the things happening on this planet make much sense to you anymore. In fact, you might feel disassociated and apathetic about the whole thing, and don’t know where to turn or what to think anymore. You might feel strangely like a spectator just watching the world pass you by without having the urge to take part in it. Don’t worry; this is completely normal if you’re about to experience a breakthrough. All this means is that you have recognized the many flaws in how we live, and don’t want to take part in it anymore. Of course, the next step down the line is figuring out how you can still be in this world without being “of” it. That will come in time, but for now, don’t ignore your gut feelings. 2. You want to give your body healthier foods. You have decided to thoroughly embrace this idea and take your health back into your own hands. You realize that you only get one body in this life, so it only makes sense to treat it like a temple! 3. You feel a sense of sadness and despair. Many people think of an awakening or shift as an immediate removal of all the mental and physical weight we carry around with us daily. However, quite the opposite occurs: we must go through a period of releasing that weight rather than just dropping it all at once, because we have to actually allow ourselves to feel in the first place. Many of us have been repressing and bottling up emotions, or masking them with various substances. When you begin to have a breakthrough, you have to get through all of those heavy emotions by releasing them. Then, you’ll start to see the light at the end of the tunnel. If you’ve started feeling more heavy emotions lately, you might be experiencing a personal breakthrough. 4. You have a deep desire to be alone. Though you might love people, you simply don’t want to spend too much time around them. You want to spend all your time and energy trying to heal yourself from deep karmic wounds and get to know the “real” you, the one that’s been buried under society’s conditioning for so long. Being alone doesn’t have to mean loneliness; it actually can allow you to make a friend – yourself. Spending a lot of time in crowds just drains your energy, and you really don’t miss being around people all that much. Getting to know your soul is a very gradual, time-consuming process that requires solitude and deep introspection, and you welcome this opportunity with open arms. 5. The walls between you and everything else seem to break down. You may also start to feel a sense of Oneness with others even though you aren’t around them as much. You’ve started to see beyond the veil and know that we’re all connected at our core, though society likes to divide us so that some people can continue to control us. However, you see through this evil endeavor and know that the only way we can unite, is to come together in love and compassion for one another, and truly learn to love ourselves as well. You know that we all came from the same source, so there is no “us” and “them,” no “you” and “I.” There is only we, and all beings are beautifully connected in this intricate web of energy. 6. You no longer want to identify with your Ego. Our egos love to label us, put us in boxes, make us fear rejection, cause us to compete and take more than what we need, and keep us locked in a cage. Our ego serves only to keep us alive and give us an identity, but many of us have abused our egos. We identify too much with them, allowing them to overtake our lives and ultimately destroy our planet. You only want to embody love, and have realized how much your ego weighs on your soul. To gain true freedom, you wish to go beyond the ego and find your soul, and this is a huge sign of a breakthrough. 7. You’ve become painfully aware of the fleeting nature of life. You may feel as though time is moving faster, and you’re going nowhere. You feel yourself slowing down despite the world spinning faster around you, and paying more attention to your surroundings. You start to find bliss in appreciating the small things, and staying locked into the present moment. You’ve realized true peace in remaining the in now, and not worrying your mind with the doubts of the past and future. You know that your life won’t last forever, so you’ve vowed to make yours count rather than waste it on things that don’t really matter. 8. You have a new desire for discipline and simplicity. You don’t want to live your life on autopilot; you want to become the master of yourself, and transform into the best version of yourself. To do this, you know you must maintain a semblance of order and structure in your life. You no longer desire bad foods, alcohol, or spending hours in front of the TV droning out. You’d rather use your time working on your health, becoming aware of yourself and learning to appreciate simply being alive. You might even take on the art of minimalism so that you can shed all of the physical clutter in your life and make it easier to clear out the mental chatter, too. 9. You no longer accept the scripted life you’ve led. You have no interest in most of the mundane chores and responsibilities of daily life. You know we came here for much more than paying taxes and bills, and working ourselves to death doing things that don’t really benefit our planet at all. You know that we create our own realities, and can will anything into existence if we just believe and work hard at achieving our goals. You don’t want to spend the next 40+ years of your life working toward someone else’s dreams; you want to make your own come to life. 10. You realize that you have to free yourself. Unfortunately, no one will come in on a white horse and remove your chains for you. 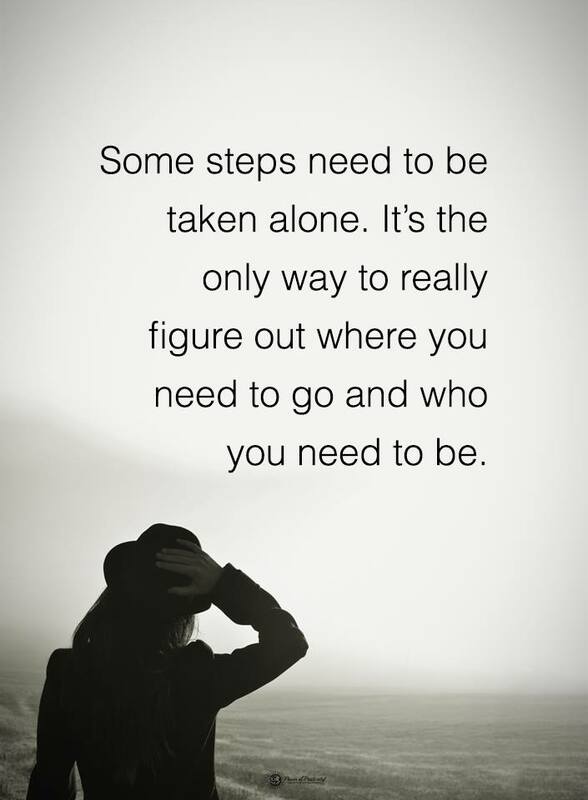 You must do it for yourself, and figure out how you can attain freedom in your own way. Everyone must fight for freedom, as ludicrous as that sounds, so you no longer will accept being bound by any of society’s rules and conditioning. You live your life as you see fit, and don’t care if it doesn’t fit the mold of modern living. 11. You want to spend more time in nature. You can’t think of any place you’d rather be, honestly. We yearn for beautiful places and the natural world because we ARE part of it; we come from it, we breathe it, we bleed it, and we need it. Without nature, we would not survive. We will all return to the dirt in which we came eventually, so it makes no sense to separate ourselves from it for our entire existence on this Earth. You feel drawn to its solitude and wish to be wrapped in the arms of the sunlight. You want to come back in harmony with nature, because to breakthrough the walls we’ve built to divide us, we have to come out of them and return to our true home – our own backyards.